I’m so excited that I have TWO great giveaways this week in celebration of Valentines Day and how much I love you all! Today I’ve teamed up with one of my favorite skincare brands Korres to share with you the most delicious line of winter face products. 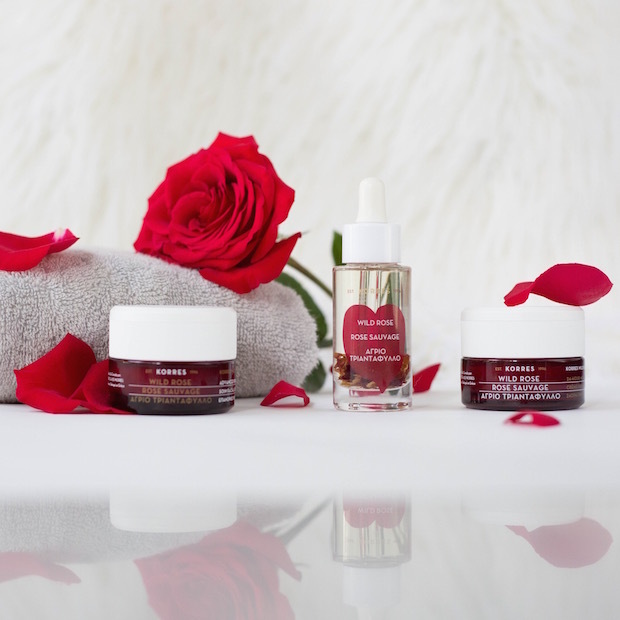 (You may remember my review of their Black Pine Firming Line last year, read here) The Greek brand has produced a line of Wild Rose based creams and serums that work just as wonderfully as they smell. 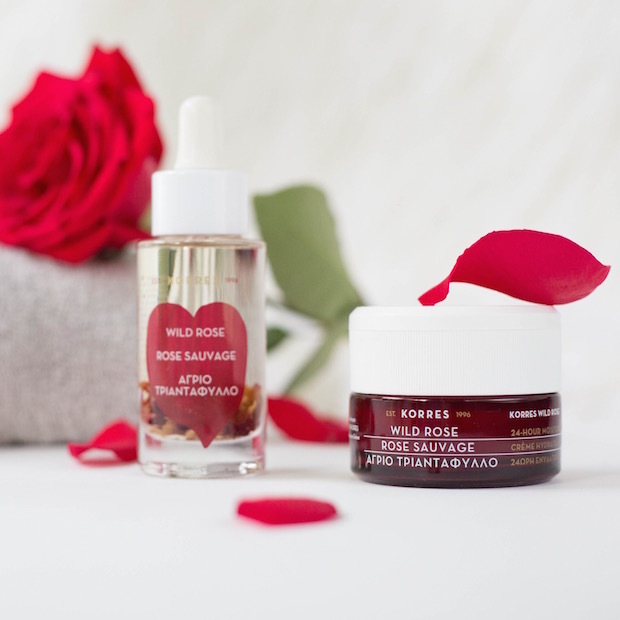 Paraben and sulfate free, the Wild Rose Vitamin C oil, cream, and sleeping mask works to increase the skin’s absorption of vitamin C by as much as 1,000%! This effect helps your skin achieve that luminous dewy glow, even in the driest coldest depths of winter. 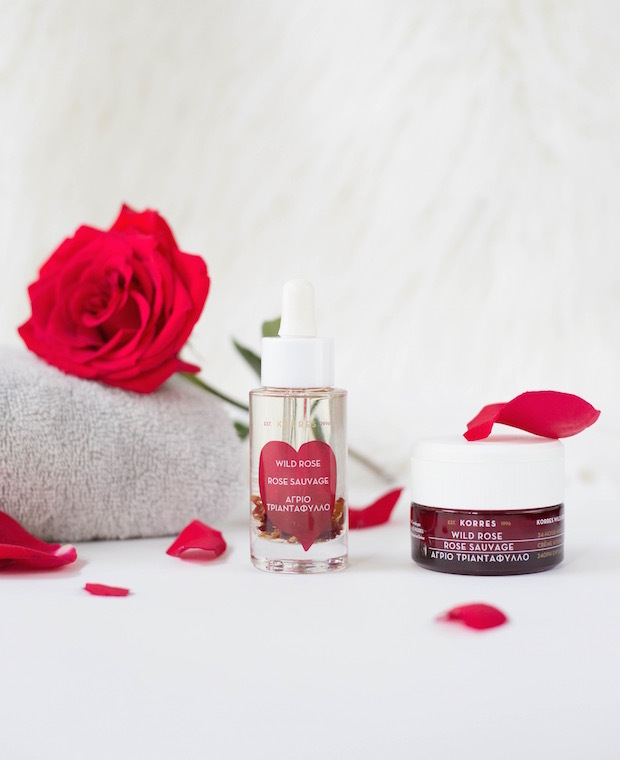 With this immense boost of vitamin C, these Korres products dramatically improve the brightness and tone of the skin, and really reduce the presence of fine lines. And that winter dullness? Well it truly disappears. After just 2 wks of using the wild rose vitamin c active oil my skin is infinitely softer and noticeably smoother. I love that I’ve seen my hyper pigmentation spots starting to fade and my overall skin tone is so much more uniform (i.e. no blotchy red or irritated spots). And opening up the serum infused with real wild rose petals is the most luxurious and relaxing part of my winter night routine. 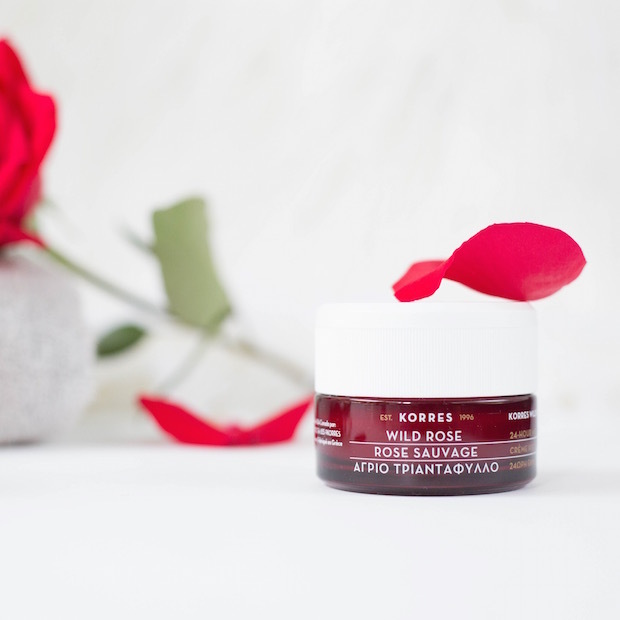 So because I am such a fan, Korres and I want YOU to experience the amazing effects of these Wild Rose products. 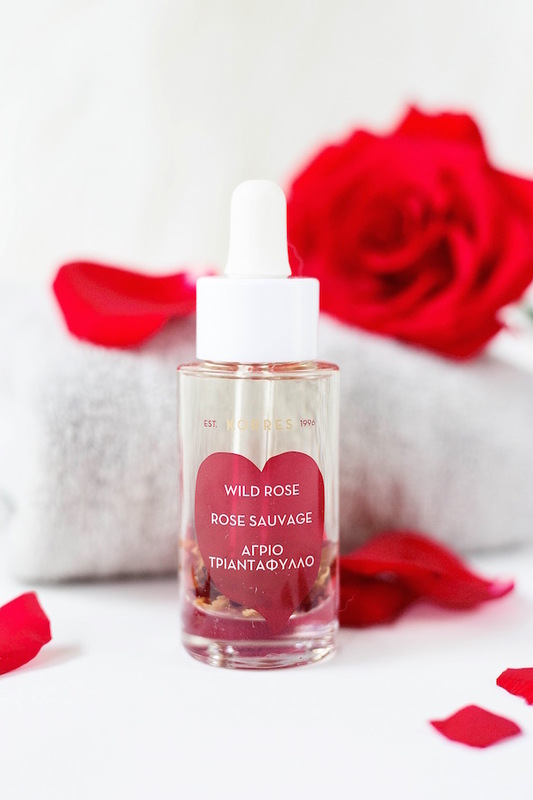 We are giving away 5 Wild Rose Vitamin C Active Brightening Oils to 5 lucky winners! 2. Like the photo of the product (will be one of the ones you see above) AND comment telling us the one skincare essential that you cannot live without in winter. Don’t forget to include the hashtag #KorresWildRose so we can track your entry! Open to U.S. residents only. One entry per person. Contest entry ends Friday February 12th at midnight EST ! Visit www.korresusa.com for more and get 15% off your first purchase! Previous Post Watch Darcy Tonight on Bravo TV!